3D printing is using a machine to add layers on top of layers to create something out of materials. It is used to make items from a computer into a real world object. 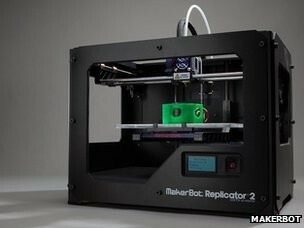 Anyone can buy a 3D printer but, they are very expensive costing more than $1,000. It is used anywhere there is a 3D printer. Advantages of a 3D printer are being able to make objects out of materials. The main disadvantage would be the cost.